Since its foundation fotocommunity stands for communication between its members, but of course especially for the exchange of photography. An essential focus of this exchange has been the assistance of the members among each other, how better photos can be made. This was mainly due to comments that pointed to the strengths of the image as well as its weaknesses and potential for improvement. Recently, we have heard more and more that the quality of this type of feedback has diminished – although this kind of assistance is still desired. Maybe you feel the same: praise and mutual recognition are important to you and motivate you to continue. But when it comes to getting better or seeing others’ views on your own pictures, praise hardly helps. Because only if you find out what others really think about your photos and what they might have done differently, only then this feedback will help you to further develop your photographic skills. 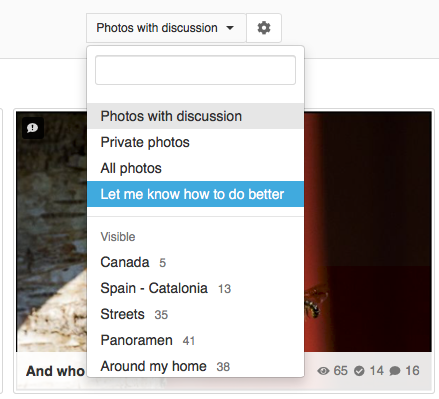 From now on you can mark your own photos visible to all, if you are interested in constructive comments. In this way you signal your motivation for an exchange on content. In addition, photographers who want to give deliberate constructive feedback will find much faster photos in which an intense discussion about the image is intentional and falls on fertile ground. Thereby we would like to follow the constructive and critical orientation of fotocommunity of the early years and give more attention to the constructive engagement with photography. 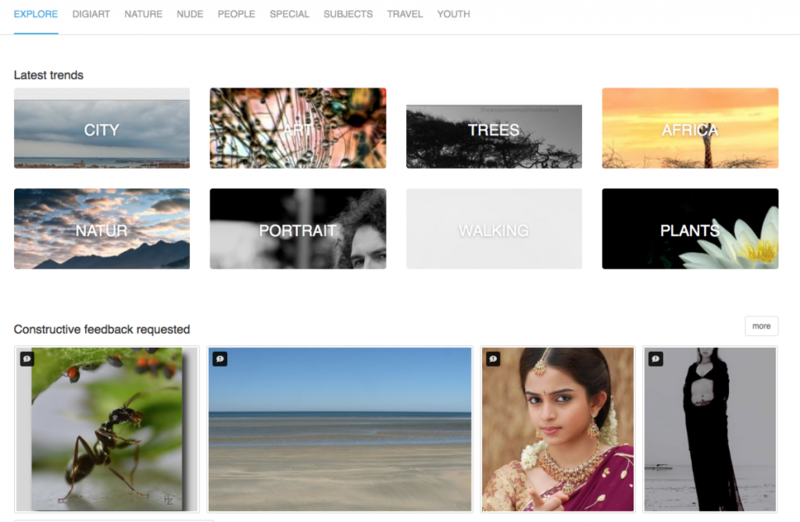 We want to encourage you to take a closer look at a photo, think about it, and write down your thoughts to make fotocommunity even more a place for content about photography – the place where photographers support and mutually promote each other. fotocommunity lives from constructive exchange. Of course, it is not enough to simply activate this option and wait. It’s important that you also help other photographers who ask for constructive feedback. The basis for a healthy constructive-critical debate can only be a good relationship between give-and-take. You think you can not criticize constructively? Far wrong, because constructive feedback is often just a description of how a picture affects you or what you might have done differently. It’s never about “good or bad”. If you have activated the Feedback Requested option, you are asking other members to critically review your photo. This may well result in honest reactions that draw your attention to improvements or aberrations – because that is the purpose of this feature. However, you should keep in mind that this feedback is always a subjective opinion of an individual. Particular sensitivities are out of place, because criticizing your photo is not a criticism of your person. Other members invest time and knowledge to provide constructive feedback on your image. You should reward this accordingly and also respond to the feedback given to you, because every photo discussion is the starting point for a further development of the photographic abilities and skills of all those involved. How does it work?To signal to other fotocommunity members that you are interested in constructive feedback, you can now mark your photos accordingly activating the feedback modus as shown below. If you tagged the photo for constructive feedback, the visitor will find a note that you explicitly ask for constructive feedback on photographic and design aspects, directly under your photo, above the comment field. In order to keep track of your pictures released for constructive feedback, they will be displayed directly under the navigation point “Photos” in your profile. This photo list can be found in an identical place in the profile of other photographers, provided that these images have been marked for constructive feedback. So you can easily see the photos where there is a desire for constructive-critical feedback. Where do I find photos tagged for constructive feedback? We wish you a lot of fun with our new feature, but also good experiences with honest feedback to your photos for further improvements to train your photographic skills. This entry was posted in Advancement. The section framework is back today!